Clearing a web browser’s cache can correct problems you may have using a web browser while on the Queens network. The instructions below demonstrate how to clear Google Chrome. 1. 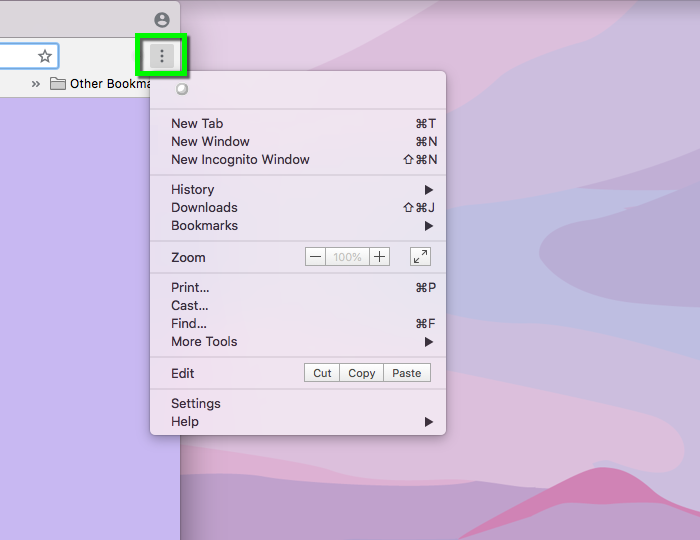 Click the Customize and Control Chrome button on the top right side of the browser. 2. From the drop-down menu, hover over More Tools then select Clear Browsing Data. 3. Select the time frame you would like to delete data from the drop-down menu. 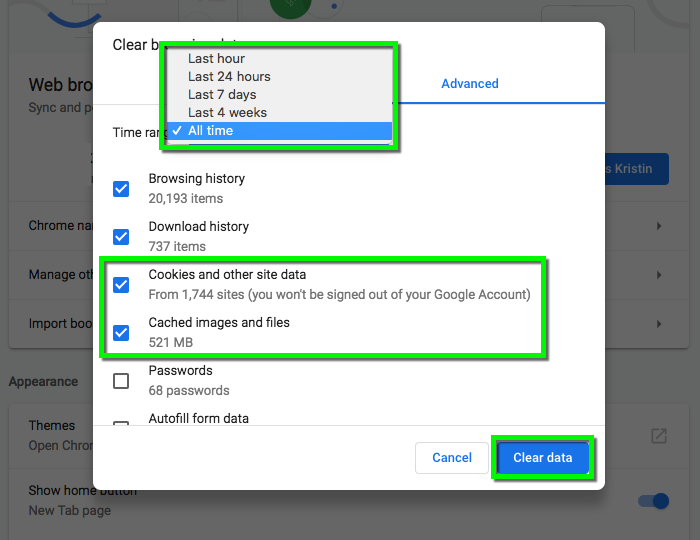 Make sure the Cookies and other site data and Cached images and files checkboxes are selected. When your selections are made, click Clear browsing data.